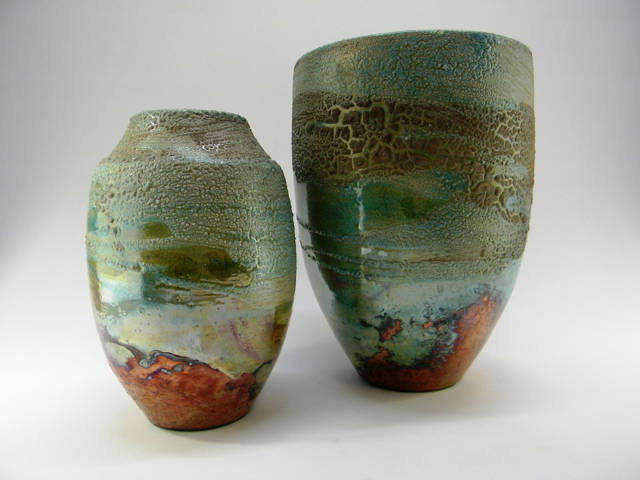 Born in Sligo on 01.04.1977, Ian first started working with clay in 1998 as a potter’s apprentice learning to glaze and fire all types of ceramics including Raku pottery. In 2011, I set up my own studio in Sligo where I am now making and supplying a number of gallery’s throughout Ireland and the USA, for this I need to be extremely creative and artistic, a good problem solver. I do all my own marketing and product development, attending trade shows to generate new retail outlets and suppliers, while managing a small retail outlet. Making invoices and order forms a good knowledge of computers is a must! 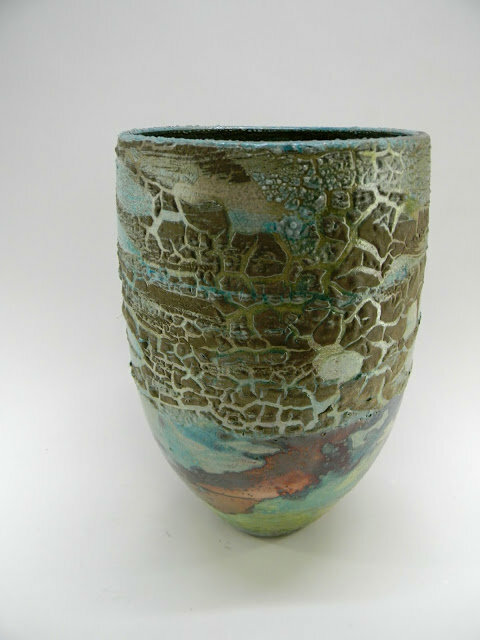 Dragon Glaze is a mix of 2 glazes, the base glaze is a raku glaze that is altered to melt at a lower temperature to assist in the second process of the firing. The second is a unstable glaze that is normally considered problem or defect for most potters. 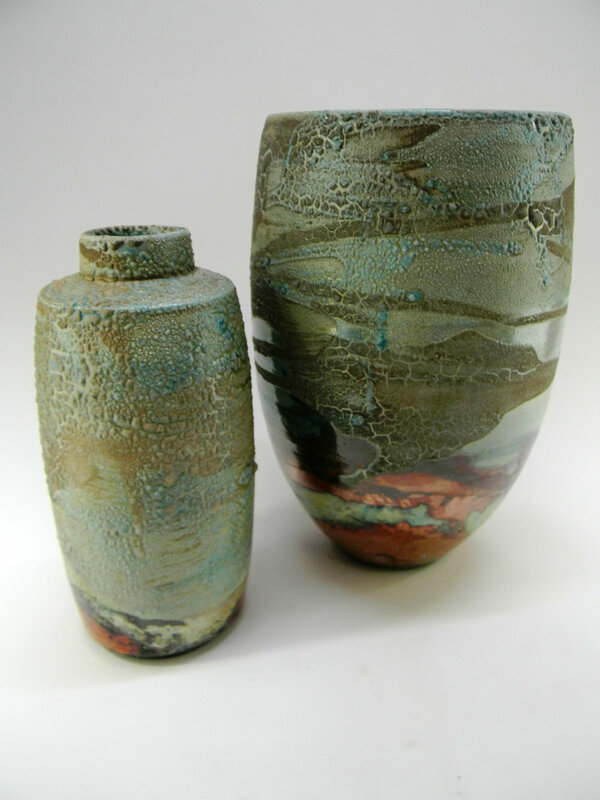 Everyone of Ian’s pieces is a one of a kind work of art with enchanting surface texture, the technique Ian uses is often considered to be a glaze defect that should be avoided, however Ian has learned to use this so-called defect very effectively as an intentional decorative element.